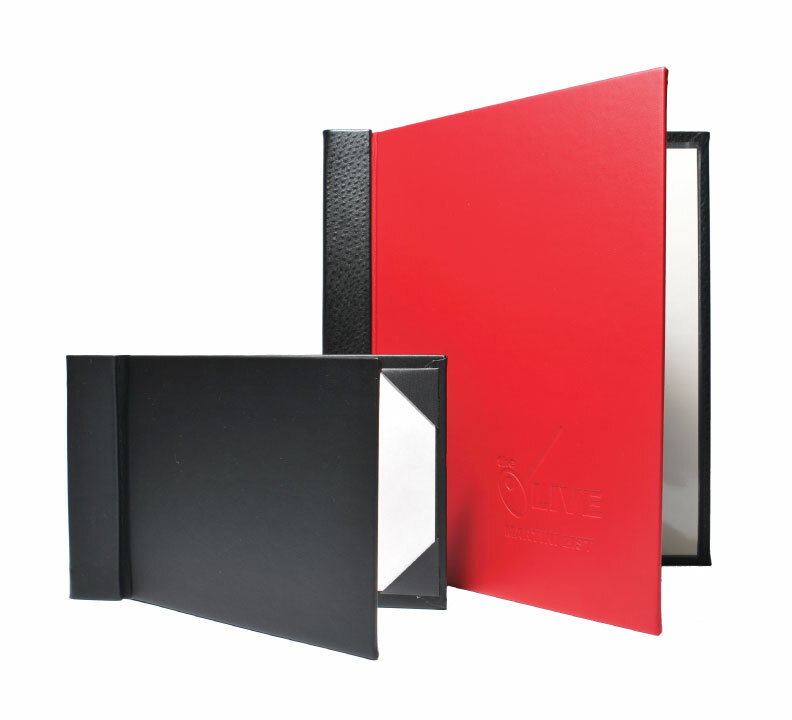 The Malibu Concealed Menu Cover is a contemporary look to a multi-view menu cover that can accommodate up to 12 clear pages. These covers are constructed using two pieces that when assembled conceal the Chicago screws from the front of the menu. This allows you to design a two-tone cover for no additional charge. Offered in many material and corner styles, this menu is durable yet stylish.